Verona in the Veneto is a great base for your exploration of Northern Italy. The city is very pretty and offers a long list of things to do, see and experience. Plus, it is compact, so you can do it all on foot. When you have ticked off all the Romeo and Juliet, ancient Roman and medieval sights you wanted to see there though, consider taking at least one day trip from Verona. It doesn’t matter if you are an art aficionado, a self-confessed foodie or a hiking fiend. It’s not a problem if you love small off-the-beaten-track places or adore the hustle and bustle of large cities. There are many options for exciting day trips to take within a short distance of Verona to satisfy the needs and wants of even the most capricious traveller. 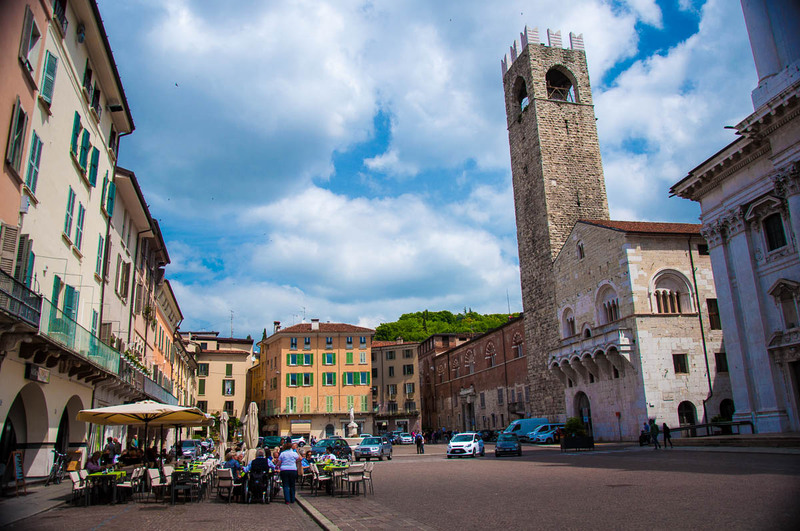 Each of these day trips from Verona has been personally tried and tested by me. For ease of use I have organised them in alphabetical order. I have also included lots of interesting information, travel times and photos bellow to give you an idea what to expect and to whet your appetite. 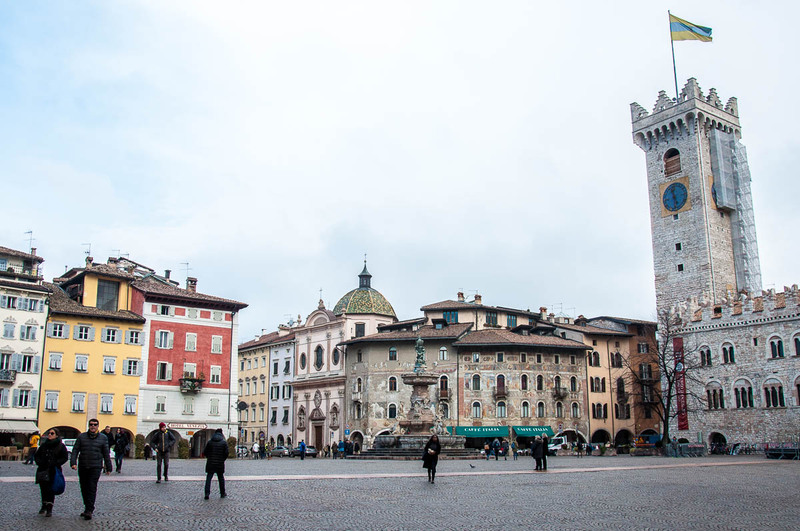 The maximum travel time is 2 hours one way, as no-one wants to spend a large chunk of the day just getting there, when there is so much to see and do within a very close proximity to Verona. Italy is an exciting country with a rich heritage. The more you see the more you want to see and to experience it all. So, take your pick according to your interests – art, nature, architecture, history, even spa and wellness! With a few exceptions, all day trips from Verona given here are by train. Train travel in Italy is well organised and it doesn’t cost the earth, so there is nothing to stop you from exploring. Plus, at the end of the article I have provided lots of tips to help you navigate the Italian train system like a local. Local churches and San Valentino Sanctuary – for a taste of local life and religious observance. Ala is a little Baroque jewel in the crown of day trips from Verona. Off-the-beaten path, it will give you a chance to explore Italy from a new point of view and learn about its artisan history. Tips: You can combine a quick visit to Ala with a longer visit to Rovereto (see point 12 below) for a day trip from Verona to remember. FICO Eataly World – the largest agri-food park in the world. Very different to Verona, Bologna will give you a chance to delve deeper into Italy’s history and art. Plus, there is simply no chance to have bad food in the city which is known as La Gorda (the Fat One) Italy-wide. Travel Times: From 50 mins (Frecciargento) and from 1 h 24 mins (Regionale Veloce). Tips: Click here for more information about what to do and see in Bologna. 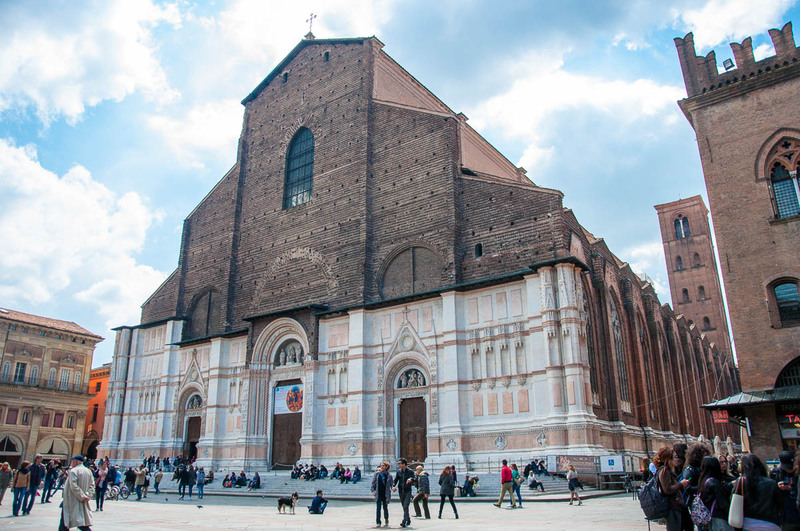 Click here for more details about Bologna University and its historical seat – the Archiginnasio. Museion – Bolzano’s Museum of Modern and Contemporary Art which holds over 4500 works of art. Bolzano, huddled in a valley surrounded by lush vineyards, is a very picturesque place. Put it on top of your wish list with day trips to take from Verona if you want to experience a completely different side of Italy. Travel Times: From 1 h 27 mins (Eurocity and Frecciargento) and from 1 h 40 mins (Regionale Veloce). Tips: Click here to learn more about Runkelstein Castle. 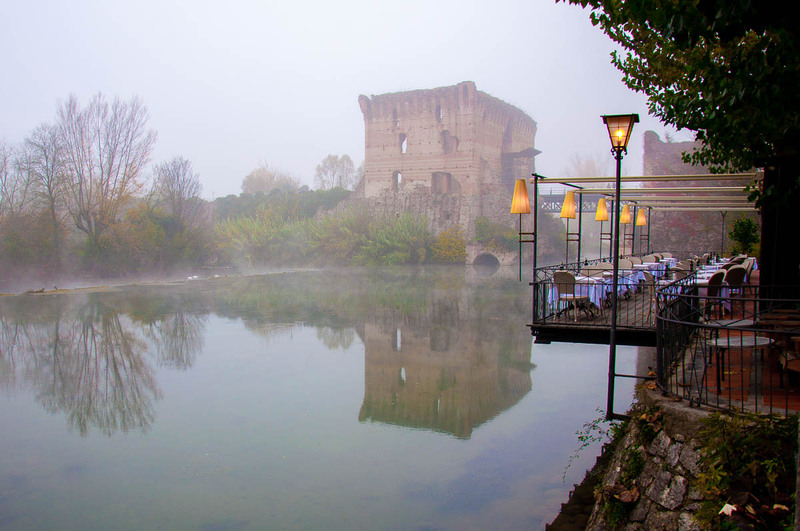 Borghetto sul Mincio – a small hamlet with old watermills of Valeggio sul Mincio. Borghetto is officially renowned as one of Italy’s most beautiful villages. People have been living there since ancient times and in more recent history Borghetto was the scene of a battle between Napoleon and the Austrian army. When in Borghetto and Valeggio sul Mincio don’t miss the local delicacy – tortellini (also known as tortelli). These are little pasta wraps stuffed with morsels of tasty fillings. A local legend calls them ‘loveknots’ and tells the story of a river nymph who fell in love with a mortal man (read all about it here). Enjoy a portion of handmade tortellini in one of the restaurants housed in Borghetto’s old watermills on the river Mincio. Travel Times: From 1 h 2 mins by bus. From 47 mins if you take the train to Peschiera del Garda and then the bus to Valeggio sul Mincio. Tips: You can read more about Borghetto sul Mincio here and here. Work out a generous portion of tortellini by going on a little hike from Borghetto to the Scaliger Castle. Read entry 2 in this list for details how to do it. Many spacious squares lined up by stunning buildings. Don’t miss the Art Deco Piazza della Vittoria (with its Torrione – the first skyscraper built in Italy) and the Renaissance Piazza della Loggia (with the inspiring Palazzo della Loggia and the beautiful astronomical clock). Teatro Grande – a lavish opera house. There are so many things to see and experience in Brescia, you can have a very full and exciting day there. Make sure that you plan well so as to cover as much ground as you can. Travel Times: From 35 mins (Frecciarossa) and from 41 mins (Regionale). Tips: Try the local cheese Bagoss. It is produced in small quantities in the nearby village of Bagolino and it has a lovely dense and salty flavour with hints of walnuts and chestnuts. 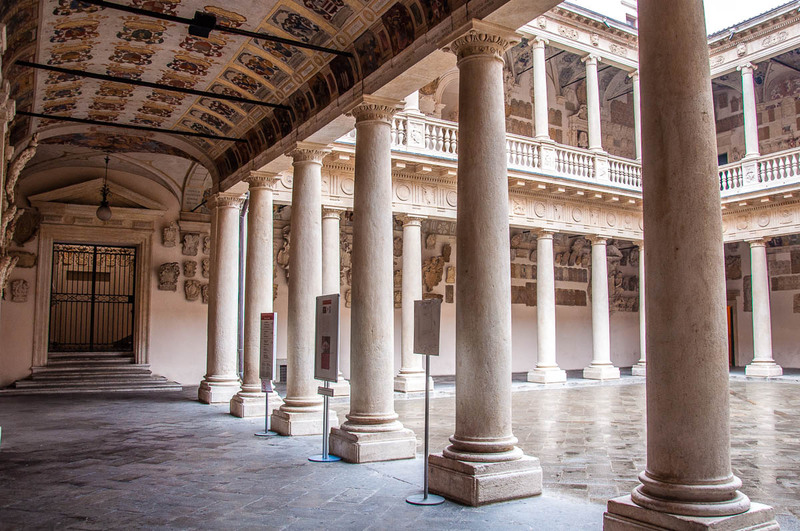 Click here for more details about Brescia’s stunning Palazzo della Loggia. Teatro Comunale – its internal courtyard (called Rotonda Foschini in honour of the engineer Antonio Foschini) will make you marvel at its perfectly elliptical shape. Ferrara is also an incredibly easy city to explore with children in tow. Head over there to give your little ones a chance to run and have fun in the many playgrounds installed all over town. Travel Times: From 1 h 23 mins (Frecciarossa and Frecciargento). Tips: Come to Ferrara in September when Italy’s most important ballooning event takes place. Over nine days colourful baloons fly over the historical centre of Ferrara twice a day. The Ferrara Balloons Festival is held in the Bassani Urban Park just outside of the city’s Renaissance defensive walls. It is a big event with thousands of people flocking to see it, with pop-up restaurants and lots of entertainment options for little ones and grown-ups. Click here to find out more. Several large amusement parks and aquaparks. Check Gardaland, Caneva The Aquapark and CanevaWorld Movieland among others. Lake Garda and the towns on its shores offer so many options and so much beauty to experience in a day that even the traveller who really knows their mind will find it difficult to choose. As such, make a plan before you go so that you can see as much as possible and yet feel refreshed and full of happy memories at the end of your day trip from Verona. Travel Times: From 14 mins (Frecciarossa) and 13 mins (Regionale) to Peschiera del Garda. From 19 mins (Frecciarossa) and 23 mins (Regionale) to Desenzano del Garda/Sirmione. From 1 h 29 mins (Frecciarossa and Regionale Veloce) and 1 h 48 mins (Regionale) to Monselice. To reach Lazise, Garda and Torri del Benaco from Verona you can get a coach from Verona Porta Nuova train station. Travelling times vary depending on the destination, but are less than 2 hours one way. You can also easily walk from some of the lakefront towns to the next. For example, from Lazise to Bardolino. Shuttle buses are available at Peschiera del Garda train station to ferry you to the amusement parks. 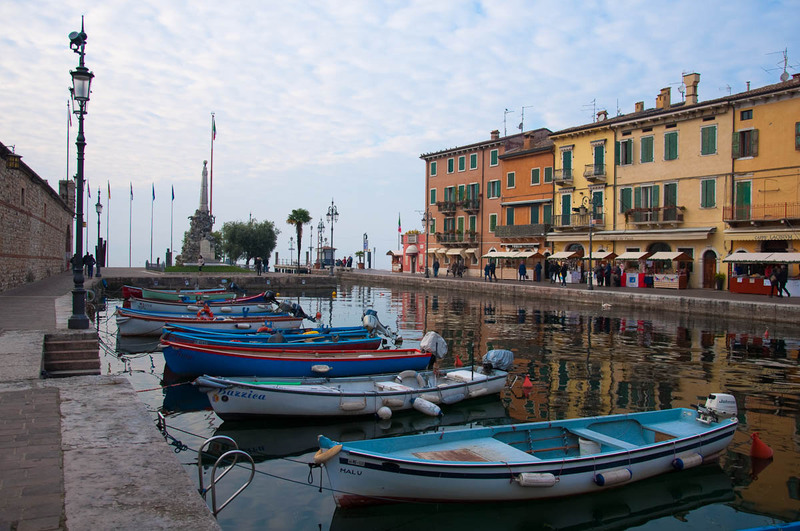 Tips: Lake Garda is gorgeous to visit any time of the year. July and August tend to be crowded, but any other month (including the Christmas period) the place is gorgeous. Beware that most historical sights may be closed on Mondays. Look into visiting Torbole, Riva del Garda, Limone sul Garda, and Maderno, if you are looking for more ideas as to cute little towns to see on the shores of the lake. For more tips and information about Lake Garda, have a look at my articles here, here, here, here and here. For more information as to what to see and do in Sirmione see point 16 here. Bibiena Theatre – a beautiful 18th century building where Mozart played at 13 years of age. In terms of food, make sure that you spend some time indulging in such local delicacies as: pumpkin tortelli, cotechino sausage and Sbrisolona cake. The latter is sold in shops all over the city and makes for a wonderful present. Tips: If you can extend your day trip from Verona to two days, consider visiting nearby Sabbioneta built to be the Ideal Renaissance City. 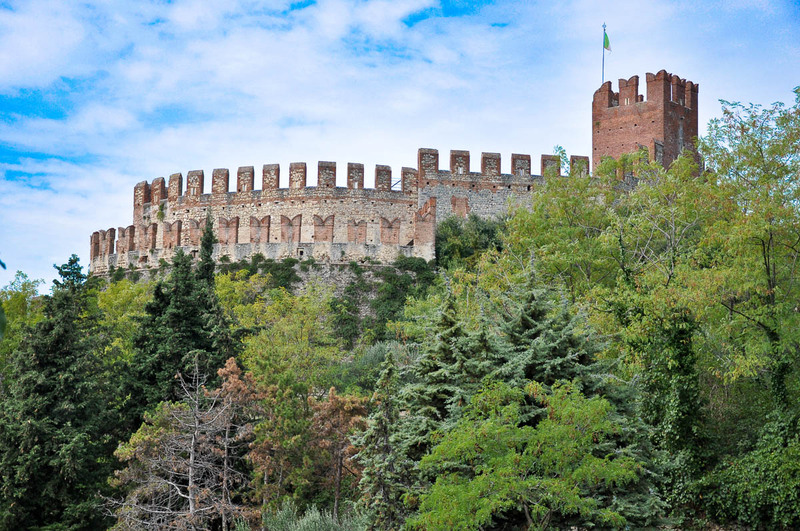 Soave – an elegant medieval walled town famous for its white wine. 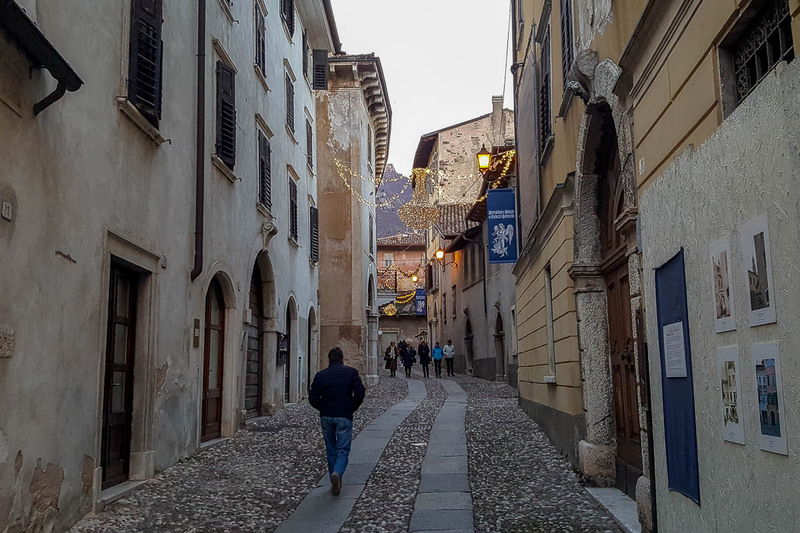 Walk its cobbled streets lined by colourful houses and take a hike to the top of Mount Tenda where you can visit Soave’s medieval castle and then walk through olive groves and lush vineyards. Have a look at entry 17 in this list for details about this light and very pleasant hike. Have a look at this article for more photos and information about visiting Soave. Castelfranco Veneto – the cutest of the pack. An almost intact defensive wall circumnavigates the town’s historical centre. Don’t miss Giorgione’s House, then visit the adjacent 18th century cathedral where you can admire the artist’s breathtaking Castelfranco Madonna. The views from the Torre Civica are worth the steep steps to reach the tower’s top. If you can, come in September, when the town holds a Medieval Fair. Cittadella – one of my most favourite small towns in Northern Italy. Here you will find ‘Europe’s best medieval parapet walkway’. In simple English this means that you can circumnavigate the whole town by walking on its medieval defensive wall. For this you need to climb 14 meters up the wall via narrow passages and steep steps and then follow a path by the battlements. At certain points you will need to go even higher – up to 30 meters in fact. All this exercise will offer you an unparalleled view of the old town encircled by the wall and, beyond it, the Pre-Alps on the horizon. Monselice – a gorgeous medieval town where the Venetian noblemen used to holiday every summer. It has a stunning castle which can be visited as part of a guided visit. Not to be missed. Then you can go for a walk to the Sanctuary of the Seven Churches. Visiting them grants you the same papal indulgences as those granted to the pilgrims who have visited the seven Holy Year churches in Rome. Have a look at entry 11 in this list for more details how to do it. There are many medieval walled towns in the Veneto. The four I have suggested above are some of the most splendid and easiest to reach from Verona. If you want more suggestions, check out: Asolo, Marostica and Noale. Travel Times: From 44 mins (by bus from Verona Stradone Scipione Maffei) to Soave. From 1 h 20 mins (Frecciarossa and Regionale) and from 1 h 29 mins (Regionale Veloce and Regionale) to Castelfranco Veneto. From 1 h 8 mins (Frecciarossa and Regionale) and from 1 h 17 mins (Regionale Veloce and Regionale) to Cittadella. From 1 h 29 mins (Frecciarossa and Regionale Veloce). Tips: You can explore Castelfranco Veneto and Cittadella in one day. There is a direct train line connecting these two medieval walled towns, so that you can spend the morning in one and the afternoon in the other. This particular train line starts in Vicenza (see point 16 below) and finishes in Treviso (see point 14 below), so you can also combine a visit to either Castelfranco Veneto or Cittadella with a visit to either Vicenza or Treviso and make it a mega day trip from Verona to remember. 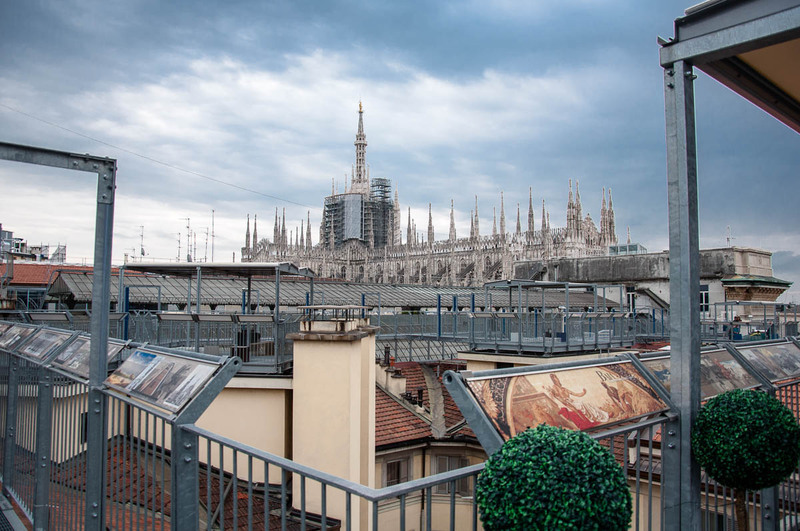 A day is hardly enough to see all that Milan has to offer. Yet, provided you plan well and are clear as to which sights you want to squeeze in your available time, you will be able to gain a good idea of the character of this dynamic albeit a bit dusty Italian city. Tips: If you want to see Milan from above, have a look at point 2 in this list for the best bird’s-eye viewpoints. Caffe Pedrocchi – two hundred years old and one of Italy’s historical coffee houses. It used to be open 24/7. You will find its beautiful building just opposite Palazzo del Bo. There are so many unique and wonderful things to be seen and experienced in Padua, it is impossible to mention them all here. The train journey from Verona takes just over 40 mins, so it makes for a wonderful day trip. Travel Times: From 42 mins (Frecciarossa) and from 58 mins (Regionale Veloce). Tips: Set some time aside to explore Padua’s hidden gems. Visit the Church of the Eremitani to see the Mantegna frescoes. 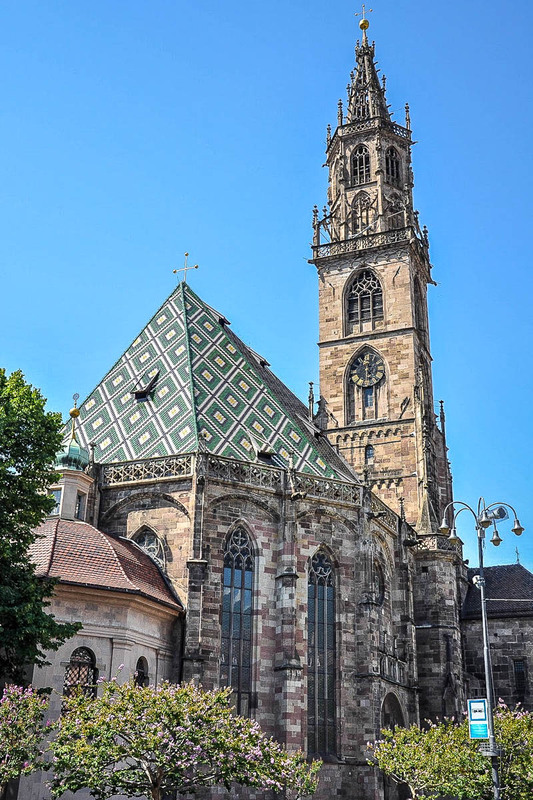 Read here the amazing story of how they were destroyed during the bombings of the Second World War and then decades later restored using advanced mathematical calculations. Don’t miss the Baptistery right next to Padua’s Duomo. It is covered in splendid frescoes and photos there are not allowed, so you can immerse yourself in a beautiful moment of art appreciation. Another little gem is St. Anthony’s School (just off the Basilica of St. Anthony) which is covered in frescoes (mainly) by Titian. Finally, when in Padua, don’t miss the fabulous cakes and sweets typical for this beautiful Italian city. Click here to find out more about them. Stunning frescoed buildings and picturesque squares. Rovereto offers so much more. You can spend a whole day there and never be bored. Or you can combine a visit to Rovereto with a stopover at nearby Ala to see its Baroque palaces (see point 1 in this list with day trips from Verona). Travel Times: From 37 mins (Eurocity or Frecciargento) and from 46 mins (Regionale). 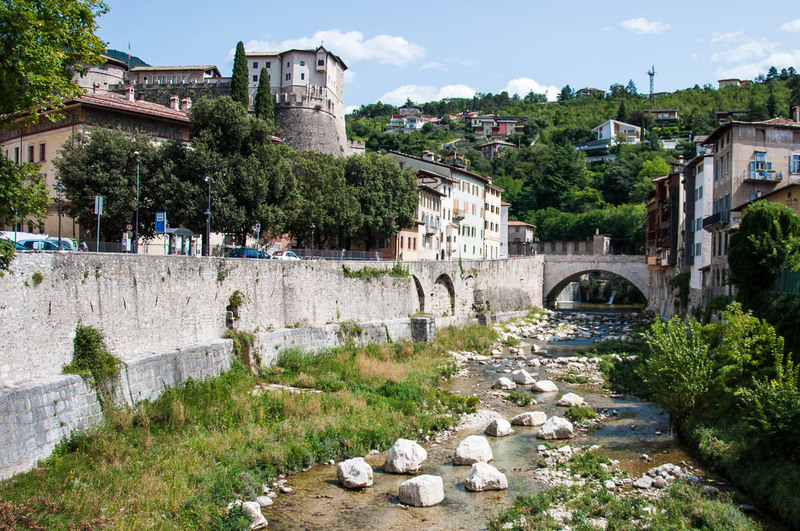 Tips: Click here for 20 photos to make you fall in love with Rovereto in the Italian Alps. Click here for my travel video ‘Rovereto – Live Your Italian Dream’. MUSE Science Museum of Trento – you can easily spend a whole day here. We particularly loved the glacier exhibit with a real-life model of a glacier. A visit to this lovely city is enriching on so many different levels. Put it high on your wish list if you love history, science or if your soul sings at the sight of frescoed buildings. Tips: If by any chance you have a car at your disposal and are looking for a one-of-kind experience, consider driving from Trento to a nearby farm. 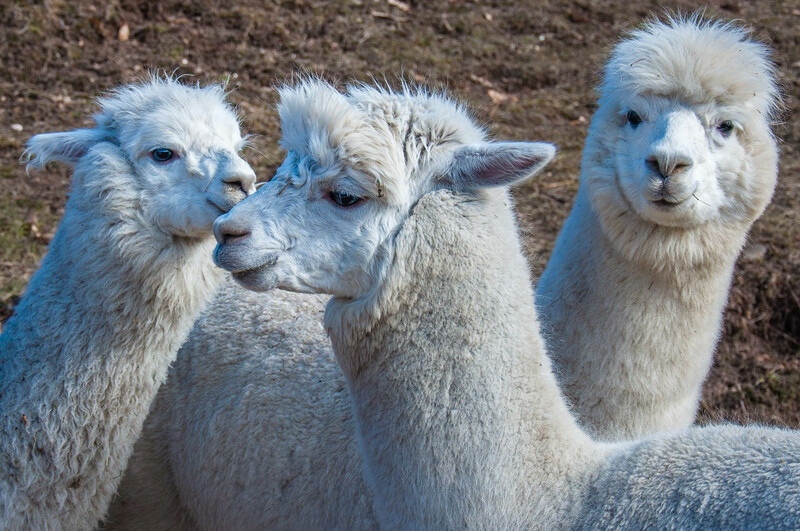 Called Maso Eden, it specialises in lama- and alpaca-rearing. It also organises forest hikes in the gentle company of lamas and alpacas. Click here for more details. 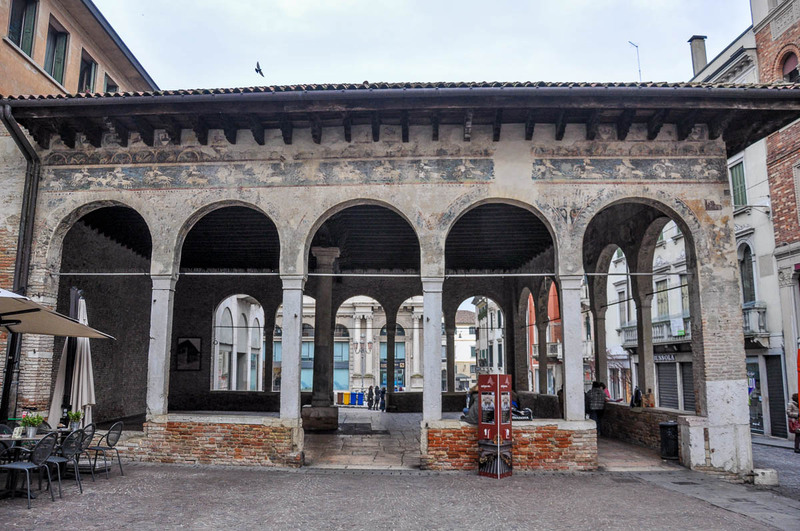 Loggia dei Cavalieri – a very beautiful structure in the heart of the old town. It was built in the 13th century to serve the local nobility as a place for meetings, conversations and games. The seven-domed cathedral where you can admire a Titian among other things. Follow Treviso’s cobbled streets to the Museum of Santa Caterina where some of the best art exhibitions in the Veneto are held. I still remember a fabulous Escher showcase back in 2016. Travel Times: From 1 h 34 mins (Frecciarossa and Regionale Veloce). 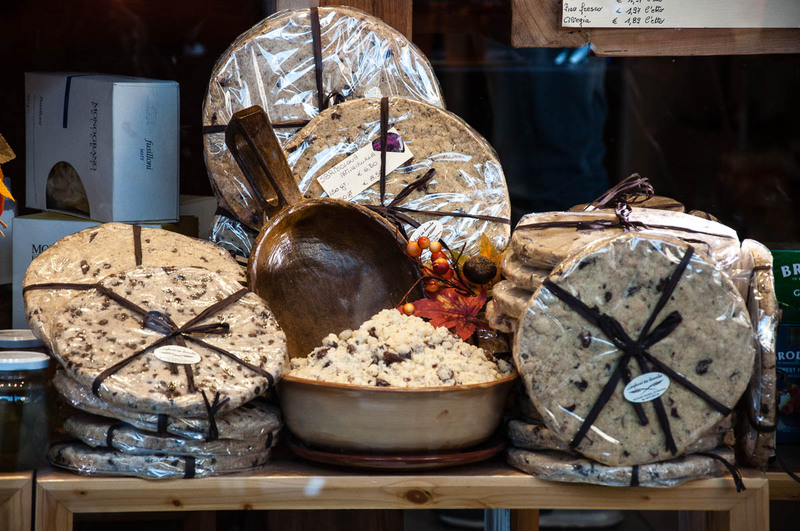 Tips: Treviso is the birthplace of a dessert, a vegetable and a drink which make our lives so much better. The first one is tiramisu – that glorious dessert made with coffee- and marsala-dipped ladyfingers which are then layered with mascarpone beaten with raw eggs. The second one is the radicchio rosso – also called Italian chicory in English. Its bitter taste is a great complement to any fresh salad, plus it is very tasty grilled and added to pasta dishes, too. The third one is prosecco which nowadays is incredibly popular in the UK. You can combine half a day in Treviso with a visit to a nearby medieval walled town. 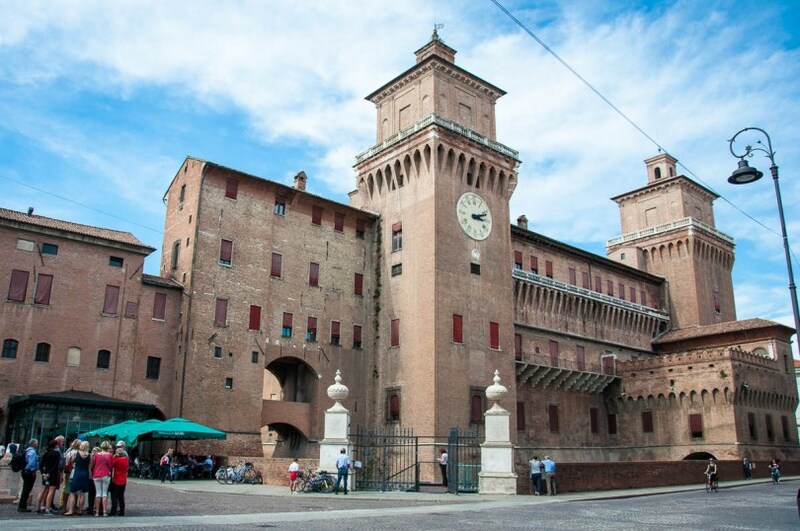 Castelfranco Veneto and Cittadella are both very easy to reach from Treviso’s train station. It would be a shame to spend just a day in Venice, but when the time is tight, don’t hesitate to dedicate a day to this beautiful unique city where there is so much to see and do. Venice is a very popular destination and for the most of the year it is rather overcrowded with eager tourists. Make sure that you have a good idea as to what you want to see and consider that you will spend the whole day mainly walking, so wear your most comfortable shoes. Here are some suggestions for places to explore and things to do for a pleasant day in Venice avoiding the crowds as much as possible. Walk everywhere and visit every church you will come across. Venice is such a delight. Approached with a little bit of planning, a day trip to the city on water can be a travel highlight to remember and cherish for years to come. Travel Times: From 1 h 10 mins (Frecciarossa) and from 1 h 27 mins (Regionale Veloce). 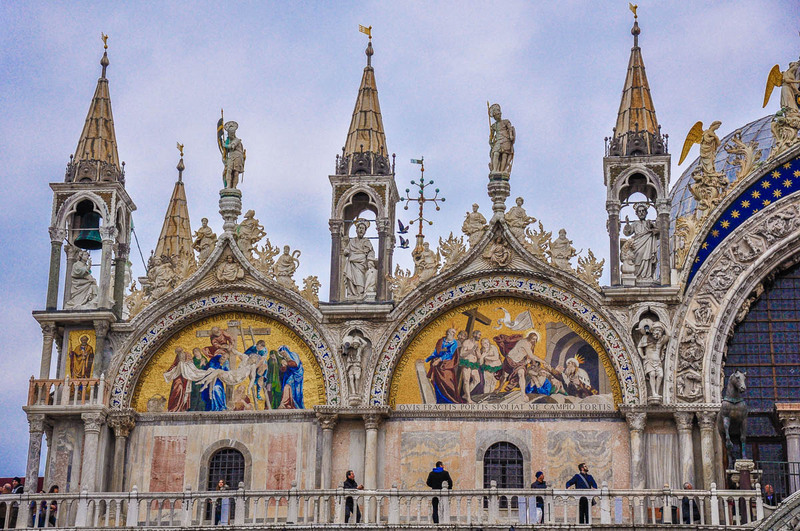 Tips: The train station you need to get off at is Venezia Santa Lucia. It is the last stop on the train track. Don’t get off at Venezia Mestre as this is the train station of mainland Venice. Villa Capra ‘La Rotonda’ and Villa Valmarana ai Nani – within a short walk from Vicenza’s train station, you can see two of the most famous and most beautiful Venetian villas. La Rotonda is one of the most copied buildings in the world and it has inspired the design of the White House. 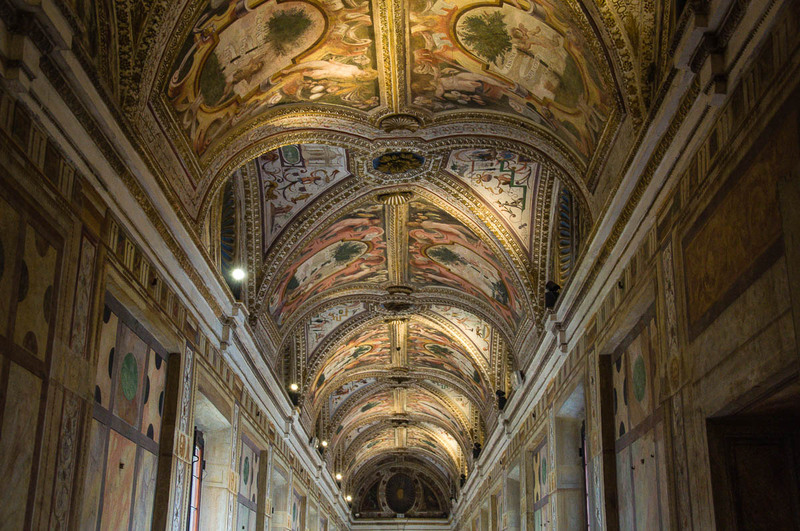 Gallerie d’Italia at Palazzo Leoni Montanari – a stunning art museum. Read more about it here. Find more details about its vast collection of Russian Orthodox icons here. For all that it has to offer, Vicenza keeps itself away from the trodden tourist track. This makes it all the lovelier to explore and peaceful to enjoy. 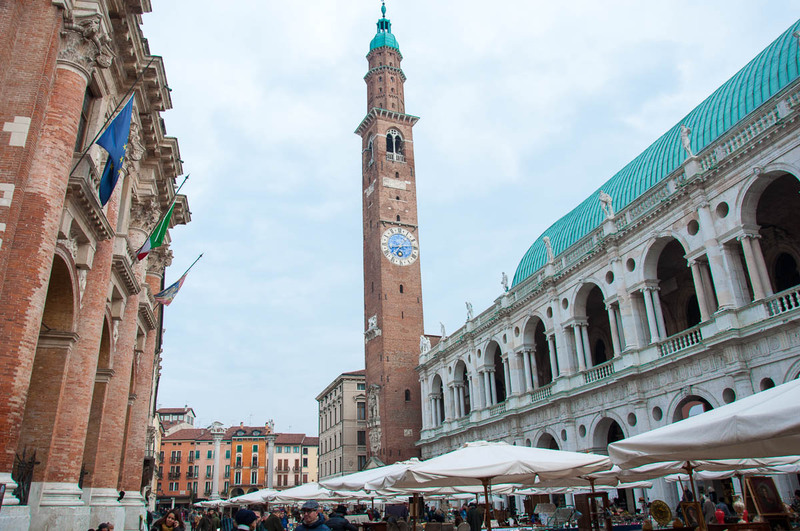 If you are an architecture aficionado or are looking for that rare gem of a city which has it all but it lacks crowds and cheapened attractions, come to Vicenza for a day trip from Verona to remember for years to come. Travel Times: From 24 mins (Frecciarossa) and from 39 mins (Regionale Veloce). Tips: Have a look at the Vicenza category of blog posts here for a detailed inside look on what to see, eat and do in this exciting yet off-the-beaten-track destination in Northern Italy. Train travel in Italy is generally very well organised and can take you from A to B quickly and (in most cases) cheaply. Frecciarossa and Frecciargento are the high-speed trains which will zip you from Verona to, for example, Ferrara and Bologna in no time. Regionale Veloce stands for fast regional trains which connect towns and cities within the region and are travelling at rather fast speeds. Regionale are the slowest trains of them all. They stop at all small towns and villages along the way. The tickets for this type of train are several times cheaper than the tickets for the high-speed trains Frecciarossa and Frecciargento. The Regionale Veloce tickets also don’t fluctuate in price, so you can buy them on the day. For example, a one-way ticket from Verona to Vicenza with the Frecciarossa train can cost as much as 15 euros if you buy it online. If you take a Regionale Veloce train, you will pay only 5.65 euros. The difference in travel times is only 15 mins. Frecciarossa takes 24 mins from Verona Porta Nuova to Vicenza. Regionale Veloce takes 39 mins. 3. Travel by Frecciarossa/Frecciargento to destinations which are further away from Verona, like Ferrara and Bologna. You will pay more, but you will spend much less time travelling. In this case, try to buy you tickets in advance online, as they will be cheaper than buying them on the day at the train station. 4. Travel by Regionale trains only if there are no other options. They are cheap, but they can take a very long time. 5. Use the Trenitalia website to compare prices and travel times for the different types of trains. You need to type the names of your departure and destination cities in Italian. For example, Venezia for Venice and Padova for Padua. It doesn’t matter if you are using the site in English or Italian. I don’t know why this is so, just be aware that if you type ‘Venice’, you will get an error message. Above I have provided in brackets the Italian names of the different cities where they diverge from their English version. All train travel times given above are from Verona Porta Nuova train station. Tickets for the Regionale Veloce and the Regionale trains are ‘open’, in the sense that you can use them for any such train on the day you purchased the ticket for. However, once validated, your ticket is valid for the next 4 hours. In other words, you need to board the train within the four hours after having validated your ticket. Insert the ticket in the machine’s slot, pushing it in and as much to the left as it would go and then wait for the whirring sound. Take your ticket out and check if the machine has printed a long line with numbers on your ticket. The first few numbers are the time and the date. Some ticket machines print the ticket on large rectangular pieces of card. Other machines print the ticket on small rectangular pieces of card. It seems to depend on the machines and the station, but all machines look the same and operate the same at all stations. 8. Always arrive with plenty of time to buy your ticket. Queues can be long. 9. Trains arrive a couple of minutes before the time of departure, so they stay on the platform a little longer than trains in England, for example, where they arrive and leave within a very short window of time. 10. Trains often have two floors with upstairs and downstairs seats. For the best views, go upstairs. 11. Always buy a ticket before you travel. If you are caught without a ticket, with the incorrect ticket or a not validated ticket, you may be given an option to buy a ticket at a higher price, but you may as well be fined a rather large amount of money. Have fun exploring what Italy has to offer in the immediate vicinity of Verona. 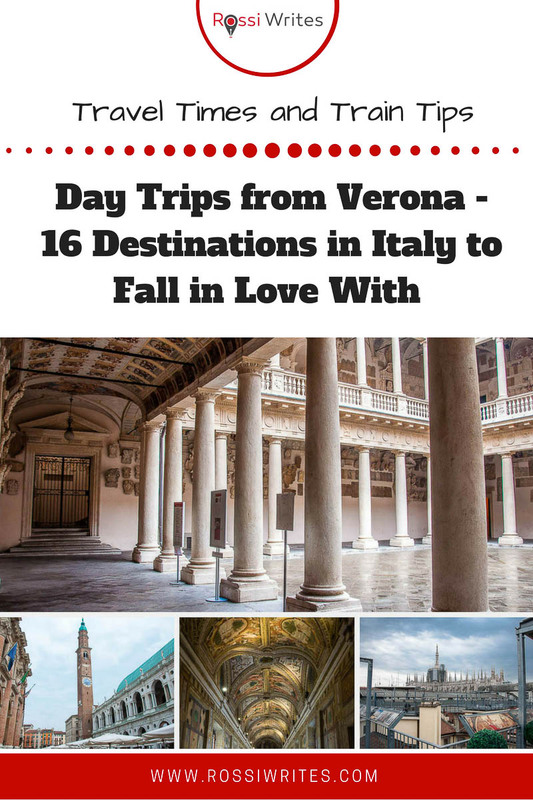 Let me know which ones of these great day trips from Verona you will be taking or have already taken. Thank you for reading! Please, leave me a comment, pin the image below or use the buttons right at the end to share it on social media. For more stories like this you can follow me on Facebook and subscribe to my weekly strictly no-spam newsletter. Thank you so much for your kind words. Verona is very pretty and there is lots to see and do in the city and in the vicinity. Happy planning your next Italian adventure! We are heading to Verona from NYC today and we are so grateful to you for writing this very informative and useful guide for day trips from Verona. This article is exactly what we were looking for and what we will use to make our special first trip to Italy a wonderful enriching experience. Thank you so very much for sharing your experiences. Many thanks for your very kind words. I am glad to have been of help. Have a wonderful first trip to Italy! Hi Rossi – this is an excellent article and guide to the region. my wife and I did a train holiday in 2016 Bologna – Venice – Verona – Milan – Como – Switzerland and it seems we need to go back for much more! Thanks for writing such a great post. Wilbur. Thank you for this great blog. I am planning a visit in June 2018 and this has given me tremendous amount of information. Would it be cheaper to stay in Vicenza instead of Verona. I will be there for3 weeks? I enjoy your stories. Your blog was a great find. Thank you very much for your very kind words, Angela! I am pleased that my blog can be of help. With regards to staying in Verona vs staying in Vicenza: With a couple of exceptions (i.e. Venice and Padua) staying in Vicenza will add on average about 40 mins to the travel times of these day trips. Also, the train tickets will be more expensive as such. Vicenza, albeit a smaller than Verona city, is not cheaper per se. It is a very well-to-do place with the prices to match. It really depends on your budget and your specific travel plans, what you want to see and how close you want to be to it. Have a great time in Italy this summer!